Anyone with information about the incident should call the Police on 101 or Crimestoppers on 0800 555 111, quoting reference CS/13/215. 2012 was the best year yet for choughs in Cornwall with 18 young fledged from five nests, would 2013 be even better? The breeding season started off with all the signs it could be another bumper year, albeit the season got off to a slow start for most of the established pairs and it was unlikely that the new young pairs would do anything other than ‘practise’. Of the nine pairs, (by standard methodology), five were confirmed breeding and all was going well until an unpaired male decided to muscle in on the territory of the long established pair at Southerly Point on the Lizard. A day of pretty nasty and prolonged fighting resulted in the disappearance of the older male – almost certainly a fight to the death- and the new usurper male immediately taking over the site alongside the older female who chicks were at the time a week or so old. It is very unlikely the new male was the father of these chicks as the pair had not been tolerating him, but his urge to breed and him being a younger stronger bird won out. He and the female continued to feed the chicks for about a week more, then she disappeared too – this is not unusual where birds have a life-long bond-leaving the new male to bring up the babies on his own, which he did with great success, the two chicks fledging in early July. 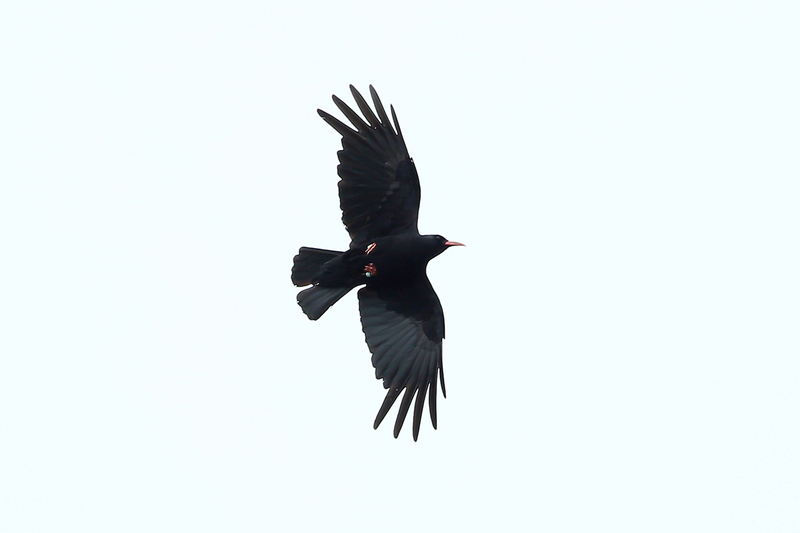 A sad end for this important pair of choughs, but the legacy they leave is remarkable and truly historical for Cornwall. We are glad to report on an excellent breeding season for Peregrines in Cornwall so far this year with no reported incidents of persecution!! This rather charming individual above was ringed at a nest site in west Cornwall earlier this season by one of our Wildlife Crimes Officers. Keep an eye out for 'HH' in the skies near you as he/she has now fledged succesfully!! We are sure you are all aware by now of the dolphin harassment incident at Padstow on Saturday 20th July. 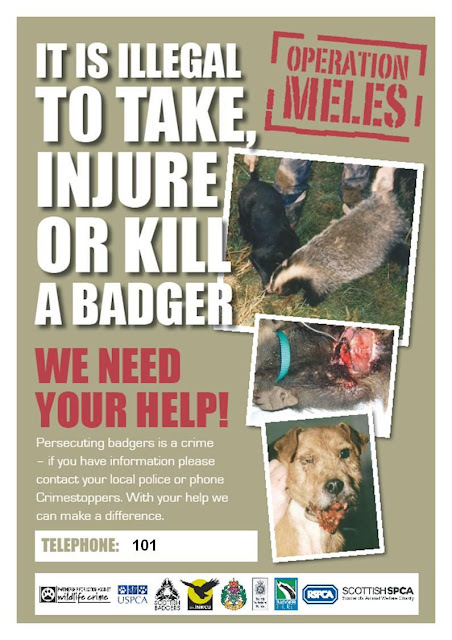 We are appealing for witnesses to the incident to call the police wildlife crimes team on 101. We especially want to hear from you if you have VIDEO FOOTAGE. This is critical when it comes to viewing the behaviour of the animals so an expert witness can tell us how they are being harassed. There has been a lot of comments on social media about this incident including some from possible witnesses. We would appeal to those people to also call the police. Some of the comments have been very negative about the police, so may we take this opportunity to assure you we will be investigating this crime thoroughly with a view to prosecuting any offenders identified. Marine Wildlife Harrassed to Death!! A pod of 25 Bottlenose Dolphins in Padstow yesterday afternoon was harassed by over 20 pleasure boats, resulting in a young animal being run over and probably killed. Police are investigating and any witnesses should phone 101. The harassment of Dolphins, Whale and Porpoises (as well as other marine animals) is a criminal offence. If you see it happening then phone the police on 999 immediately. Never put yourself in danger, but if you can, make a note of any distinguishing colours or marks on the vessels causing the harassment. If you have a mobile phone, take video or photos to pass to the police. Bottlenose dolphin and harbour porpoise are both listed on Annex II of the EC Habitats Directive 1992 as species of community interest whose conservation requires the designation of Special Areas of Conservation (SACs). All whales, dolphins and porpoises are listed on Annex IV as species of community interest in need of strict protection, referred to as European Protected Species. 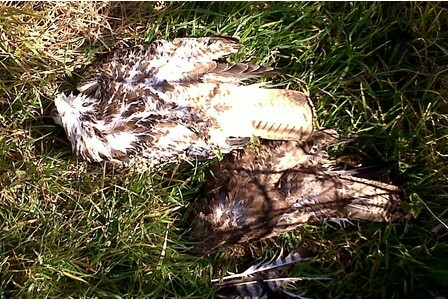 The RSPB have released a video from their covert cameras on you tube showing the Gamekeeper killing the birds. Please be warned, the video is graphic and some people may find it disturbing. Colin Burne, of Winters Park, Penrith, pleaded guilty to the intentional killing of buzzards on land managed by a private shooting syndicate in Whinfell Forest, near Penrith, Cumbria. There is always conflict between man and birds when birds use buildings (or vehicles!!) as nest sites!! 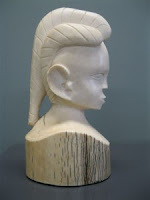 House Martins and Swallows are a classic example. House Martins nest under the eaves of houses and other buildings, making a small dome of mud in which to raise their young. The nest, eggs and birds are afforded the same protection as any other birds and it is illegal to remove their nests whilst they are building it or using it. They are particularly late this year and can have a couple of broods, which is worth bearing in mind if you are thinking of knocking down that nest because of the mess they are making. Each egg or young killed can be a fine of up to £5000 or 6 months in prison! We do get a lot of reports at this time of year from concerned neighbours about this problem and we will investigate reports of this kind. Likewise for Swallows who tend to use barns and out buildings to nest. Think twice about removing those nests just because of the mess the birds leave on your car! 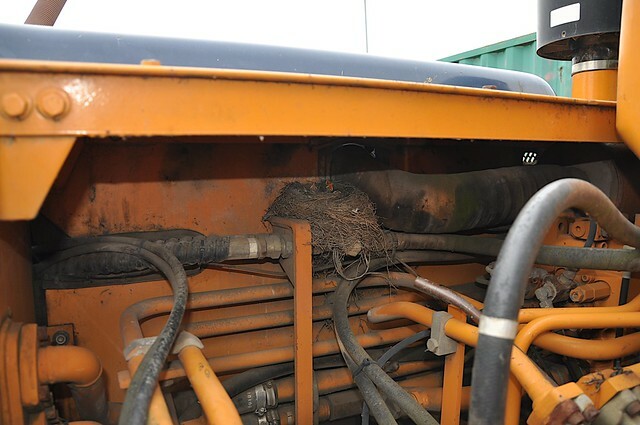 We recently had a report of a Pied Wagtail nesting in a forklift truck that was going to be moved. Fortunately the owner sought advice from the Wildlife Crimes Group and the birds are now safely behind a cordoned off area! Japanese Knotweed is not the first thing to spring to mind when you think of the flora and fauna you might have to deal with as a wildlife crimes officer! But yesterday the D&C Wildlife Crimes Group did have a query about the invasive invader so we had to do some research. The information below was found at the Japanese Knotweed Solutions website (other Knotweed solution companies are available!!) ands pretty much covers all the law you need to know when dealing with offences for the alien plant. Due to the destructive characteristics of Japanese Knotweed, strong legislation is in place to control the magnitude of the problem. You could face a fine of up to £5,000 and/or 6 months imprisonment if found guilty in a Magistrate's Court, and up to 2 years imprisonment and/or an unlimited fine in a Crown Court. 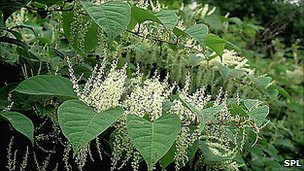 You could be sued (under laws relating to private nuisance under common law) for costs and damages if you allow Japanese Knotweed to spread from your property onto that of an adjacent landowner. The Environmental Protection Act (EPA) 1990, Duty of Care Regulations 1991 state that cut Japanese Knotweed material and soil containing rhizomes must be disposed of as controlled waste. You will have to pay to dispose of controlled waste containing Japanese knotweed at a licensed landfill. You need a Waste Carrier's licence when transporting controlled waste for business or profit, and you must follow strict guidelines. If you fail to show that you have the authority to transport controlled waste, you may be issued with a Fixed Penalty Notice. The penalty fine is currently set at £300. You are not allowed to put any Japanese knotweed material in to any of your local council-provided bins, or in public rubbish bins. Your mortgage lender can legally refuse to give you a mortgage if Japanese Knotweed is recorded on your property or a nearby property. It’s not a "notifiable weed"
The other up-side of course is that the stuff can be made into some delicious recipes and also wine and other alcoholic drinks!! Despite our heavy workload, we would like to encourage you to continue reporting ALL suspected wildlife crime in Devon and Cornwall. Please call 101 (for non-emergency) to report widlife crime or intelligence. We were treated to a very interesting talk by Faye Archell about many aspects of Marine crime that we as officers may have to deal with. The programme followed a species theme, with each animal or family group discussed individually. It was a great opportunity to learn a bit about the animals lifestyles and movements as well as the laws and legislation surrounding each one. After this we all joined with staff at the college in the lecture theatre to discuss the job of a WCO. After an impromptu but informative speech by Sgt Dave Knight, each WCO in turn stood up (some remained seated!) and explained their current role in the force as well as a bit about themselves and the WCO role. This was very well received by the staff and there was of course a few humorous moments! A short question and answer session followed before we retired for a very nice lunch! We must say a big thanks to all the staff at Cornwall College for being such superb hosts and allowing us to meet at their wonderful facility. It is hoped we have formed a strong bond with the college which we will enhance in the future with more partnership training for staff, students and WCO's.